Here at Norfolk Community Foundation we believe that, together, we can all change the world on our doorstep. 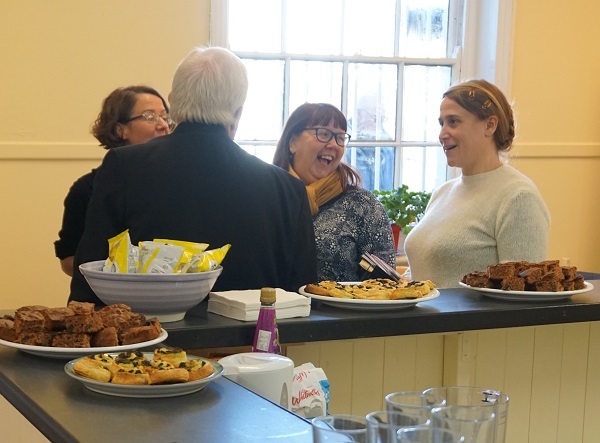 We support initiatives producing a demonstrable impact on local people’s lives, making Norfolk a better place for everyone. The aim is not just to help prevent crisis, but also to help people plan ahead and find their way to a more positive future in the long term. Geoff, a rough sleeper in his 60s in Norwich, had moved from the streets to hostels to prison and then back to the streets again, in a vicious cycle which lasted at least 20 years. Geoff seemed to have exhausted all of his options and he was declining both physically and mentally from years of alcohol abuse and rough sleeping. However, our funding helped to pay for a few nights’ bed and breakfast accommodation which has changed – and possibly even saved – his life. This temporary accommodation gave Geoff the stability he needed to fully engage with support services and, with help, he has now successfully detoxed from alcohol. He is now awaiting accommodation at St Martins’ dry house where he will be given daily support by specialist workers to help him to abstain from drinking and build up his confidence. Geoff feels proud of himself and shows that it is never too late for a person to accept support. John’s situation was extremely complicated; he has poor mental health, a learning disability and also a heroin addiction. John began sleeping in shop doorways in Norwich city centre, his drug use escalated and he became even more withdrawn, isolated and vulnerable. Our funding enabled John to access a ‘street break’ in the form of hotel accommodation for a few nights. This opportunity enabled him to reconnect with social services and he has since moved into a long term care placement. Help to support the homeless has not just been focused on Norwich. 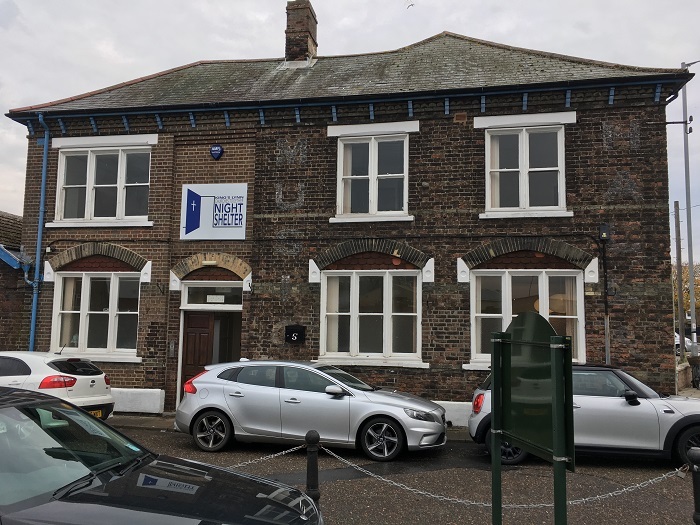 We’ve been working together with King’s Lynn Winter Night Shelter, which provides shelter to adults who are sleeping rough on the streets of King’s Lynn over the winter period. The Shelter has been open 7 nights a week supporting 20 rough sleepers per night and catering to their immediate physical needs – shelter, food, warmth and companionship. Not only is the facility a safe haven for those sleeping rough, but support is offered to ensure single homeless people are aware of specialist support services that promote safer, healthier lifestyle choices and help them to live more independent lives. John was living abroad when work dried up. He moved back to England to stay in a barn belonging to a friend near Colchester. The property was sold and John had to leave. He didn’t know what to do but found his way to King’s Lynn as it was at the end of the railway line. He was taken to the night shelter and stayed for three weeks. During this period, he was signposted to the Purfleet Trust, and a member of their staff took him to the job centre and helped him to sign on for benefits. He has now found his own accommodation. Now, the Surviving Winter appeal and its impact on the homeless and other vulnerable people was only a small part of our activity over the last year. There are many more stories that you will have read about in the local press, or in our news or on our social media about how our supporters have helped to change Norfolk for the better. Please do take a look. It just shows what we can all achieve together. Our work is only possible because we work in partnership with people who care. We know while Norfolk Community Foundation’s work touches 1 in 4 people in Norfolk, there is more to be done. To do more, we need to introduce our work to more people. Please tell our story to others you know. Inspire them to get involved, so that together we keep Norfolk shining brighter.